Sierra Rescue is, from my experience, absolutely top notch. My main instructor, Don Lester, is quite simply an amazing human being. Is there anything he hasn’t done? He has done rescue in about every disaster around the globe. But none of that would matter if he weren’t able to teach. And that is what makes him exceptional—he can recognize how people learn differently and will adjust accordingly. Both Don and Julie Munger were great about making sure the course was pertinent to everyone’s needs. There were firefighters that needed the course for their job. There were guys that wanted a leg up when applying to various rescue-related jobs. Then there was me, a pudgy female city-slicker at the end of her 40’s that just wanted to be able to save animals as part of a Disaster Animal Response Team. Don was able to give the fire guys “real world” info while also showing the options and new methods that the “old guard” might not be hip to. But was also able to relate everything to animal rescue. Julie, who does a lot of large animal rescue, even brought out her (adorable) pup Wilma so I could run some scenarios with her— which Julie also made sure the rest of the class knew how to do— while also giving them info about the PET act which is pertinent to all rescuers/firefighters now. 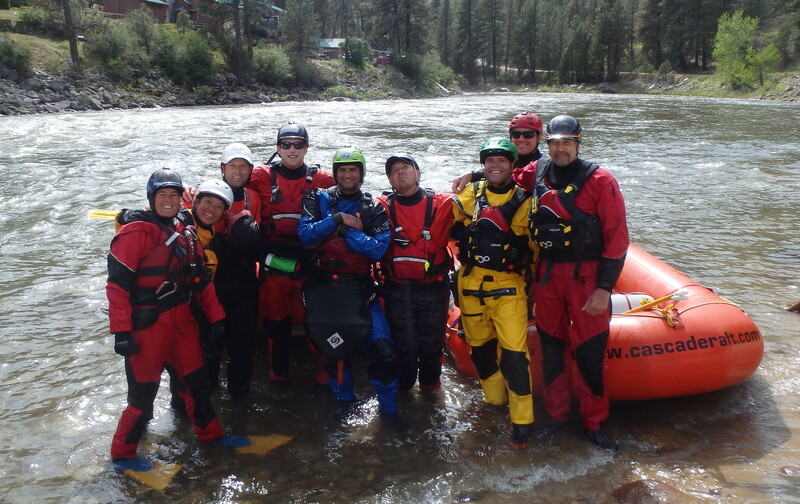 The Swiftwater class was my first time in a rapid river and I was even less experienced in this realm that I was with rope rescue— but I never once felt unsafe. Nor did I feel any pressure to take part in any task that I thought was above my skill level. Multiple people had incorrect gear and we were all accommodated by Don giving us gear from his stash. About the gear— it is in tip-top shape. Safety checks are mandatory for absolutely everything, which is, of course, as it should be. The office & admin respond quickly to both phone and email and were pleasant while doing so. They give you all the instruction you need to get where you need to go, stuff to bring, things that are optional, etc. It’s pretty amazing how well they accommodated everyone’s skill levels. I was pooped at the end of the day but so were all the super-strong firemen. We were all challenged, but at levels that were appropriate to each of us. On top of that, Julie and Don are just fun, smart, good folks that are a blast to be around. There are few people on each as dedicated to their craft as Julie Munger and Abigail Polsby. They are rewriting the book on rescue. Practical, pertinent and to the point... I highly recommend their classes! Just finished their 72 hour Wilderness First Respondercourse with Don Lester and Liam Oniell. Who are Great instructors who know there stuff. Happy Holidays to all! It is great to be heading into the holiday season; and while keeping an eye on NOAA weather predictions http://www.noaa.gov/wx.html, paddling opportunities for the boaters, and getting Swiftwater and Flood Rescue and safety training https://sierrarescue.com/schedule/categories/swiftwater-rescue-courses/nfpa-fema-calfire-swiftwater-rescue-courses/swiftwater-rescue-technician-unit-1/ updated, we are also negotiating through a different sort of river of relatives and friends. We spend time in happy eddies chatting, telling stories around the tables and exchanging our cold beers or sodas for hot chocolate and toddies. As we negotiate through some of our more challenging and rewarding relationships, we also give pause to reflect on the year, and make plans for the year to come. 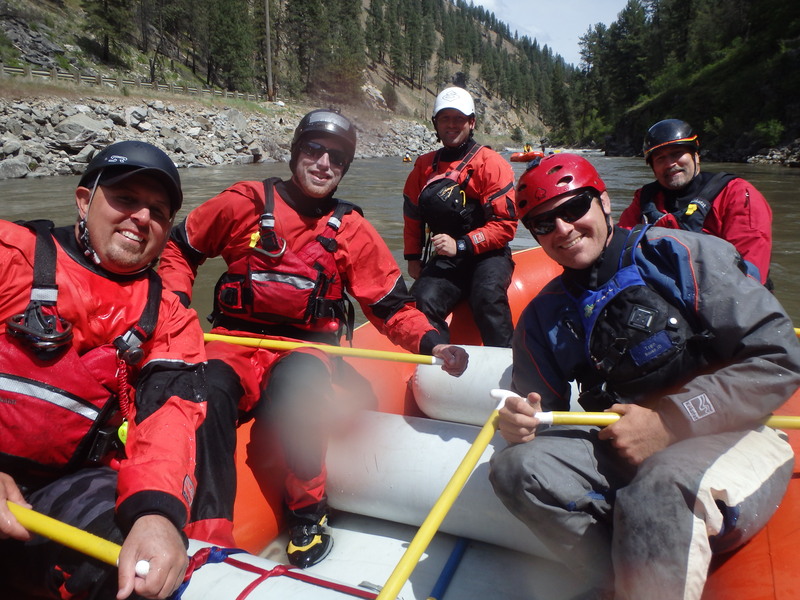 This is also a great time to look back on either your outdoor paddling life, or professional life as a rescuer; and not only look to the coming year, but take time to reflect on the amazing river trips or rescues of 2015. From a safety and rescue perspective, this is an opportunity to not be missed. Here are some thoughts for review, reflection and looking to the future! 1. Near Miss? Take a moment to reflect back on one moment when you feel like there was a “near miss”. It could be as simple as rescuing someone back into your boat, or as the safety officer, noticing a water knot tied incorrectly right before someone went over an edge. Ask yourself questions. What could I have done differently? Is there a lesson to be learned? If I was just “lucky”, how can I prevent something from happening in the future. Were there ways that you were perfectly prepared? http://www.amazon.com/gp/product/B0028Z4LUU/ref=dp-kindle-redirect?ie=UTF8&btkr=1 What skills can I improve on? 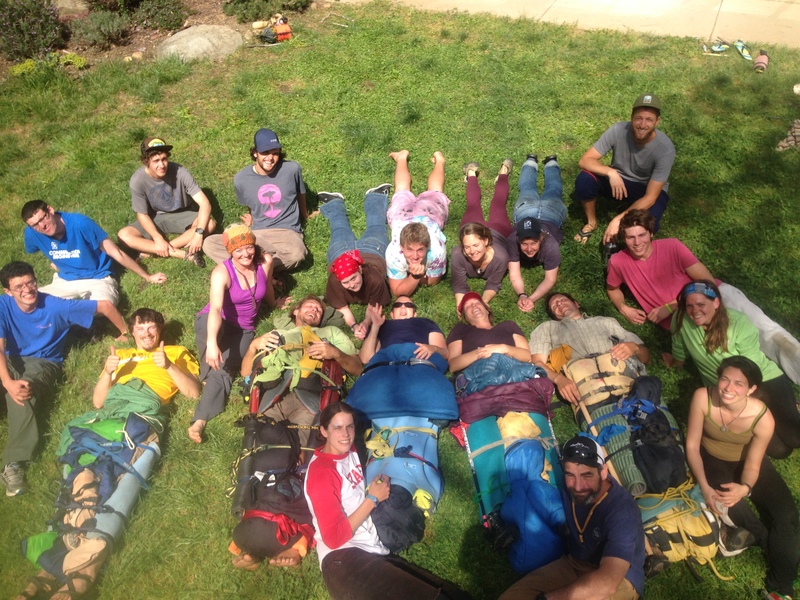 Rescue https://sierrarescue.com first aid https://sierrarescue.com/course-info/wilderness-first-aid-courses/, navigation, eddy catching? 2. Do I Always Speak Up? During your paddling days, do you always speak up, keep the group focused, and ask good questions when necessary? If you notice a safety issue in the fire house; do you speak up? Intuition is an extremely important sense.http://www.huffingtonpost.com/2014/03/19/the-habits-of-highly-intu_n_4958778.html Many times if it just does not “feel” right, it is NOT right. While there is no real statistical evidence to back this up, I am a firm believer in listening to that inner voice. Sometimes just asking the question. “ Hey does everyone feel good about this” can start a discussion that will divert you to another river, or causing a crew to take a look at a pre-plan more critically. This is GREAT. These are the statistics that never get recorded because a bad situation has been diverted. It could be that a subtle combination of things has been nagging at you when one big one does not stand out and most likely involves a combination of river flows http://dreamflows.com, temperatures, paddling ability, time of day, equipment http://rescuesolutions.net etc. All those things that look obvious on paper, but are sometimes not so obvious at put-in, or on the shuttle drive, or even scouting a rapid. Make a commitment in 2016 to always speak up about ANY safety concerns within a group, and listen to your intuition if something just doesn’t “feel” right. If you always have a back-up plan, you always have another plan to fall back on. 3. Did I become a better team member? This time of year is the PERFECT time of year to ask for gifts that improve your contributions to safety and rescue. How is your personal first aid kit? Can I upgrade the quality of rope in my throw bag? http://www.nrs.com Do I have an emergency blanket, or a little survival kit if my group and I get stuck out on the banks of a river over night? http://www.adventuremedicalkits.com No matter which Holiday you celebrate, there are folks asking for your list! Challenge yourself to include at least one new item that will make you a more productive contributer to the team, or to your family, if something unexpected happens on the river, or on the road. Most importantly, reflect on the good times, the beautiful places that the river takes us, and that exhilarating feeling at the bottom of a challenging rapid and commit to doing MORE paddling, or training in Swiftwater if you work for an Agency, in 2016. I wish you all a very Happy and Merry Year in 2016!